Victoria is a Certified Law of Attraction and Co-Active Life Coach, Crisis Mediator & Published Writer. The overarching theme that ties Victoria’s life-work together is PASSION, CREATIVITY & SERVICE. Victoria’s background is steeped in philosophical and spiritual study. Her great-grandfather was a renowned Hebrew poet whose book Garlands of Thought published during WWII was a colloquy based on his belief that all human beings are intrinsically good, even in a world where madness exists. Segueing from organized religion, Victoria felt more in alignment with metaphysical interpretations of religious literature. 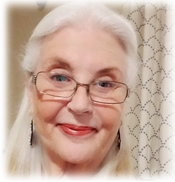 Over fifty years of contemplation, study, journaling and authoring from her point of view, Victoria’s voice is heard as she shares her struggles and triumphs with her tribe of kindred spirits. Victoria founded Creative Expressions, in Malibu, California, where she taught The Children’s Material (a child’s version of A Course in Miracles) from 1979-1986. The children loved the simplistic teachings and expressed wonder and curiosity on the subject of death, which included questions on heaven, angels, guides and reincarnation. Together, teacher and students wrote a poetic fairytale of a dying child who teaches us to remember the world beyond this one. Victoria sent the manuscript to Dr. Elisabeth Kubler-Ross, one of the world’s most eminent minds on the subject of death & dying. Dr. Kubler-Ross loved the story and endorsed Victoria’s first book This is Not Goodbye…It’s Halo. From 1988-2009 Victoria worked as a successful Realtor, bringing her love of service to help others achieve their dreams. At the height of her successful real estate career, Victoria enrolled at Coaches Training Institute, an affiliate of Harvard Medical School. Upon completion of CTI’s Co-Active Coach training program, Victoria became a Co-Active Life Coach, specializing in Transitional Empowerment and Fulfillment Coaching. Victoria’s second book Hello, Beautiful is written in a workbook style format for people struggling with eating disorders and offers real tools and practical steps for healing. In 2017, Victoria received her certification as a Law of Attraction Life Coach. She is a member of ICF, (International Coach Federation). Victoria is active on social media and has approximately 50,000 followers.